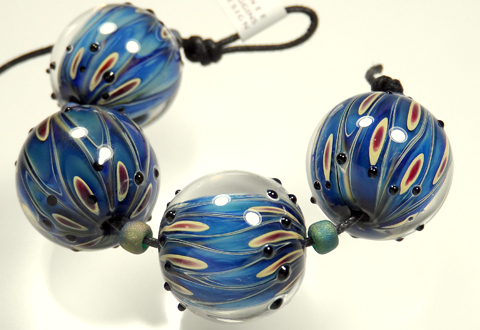 Multiple beautiful silver-rich glasses have been used to create these beads with lots of depth and intense color. Predominate colors are beautiful lapis blues and turqouise with some warm creamy tones with burgundy accents. At the core, the glass has been painstakingly manipulated into geometric designs that resemble “peacock feathers”, and have been heavily encased in clear glass to create incredible depth and interest. 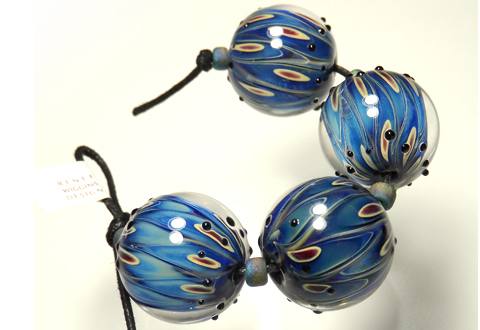 Small raised dots of black adorn each end of these intriguing beads. Sizes are approx. 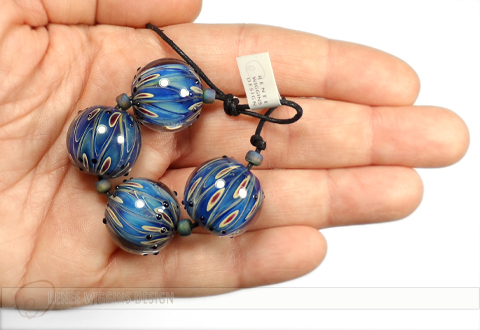 18mm diameter for these beads. Beads were made on a 1/16th mandrel. 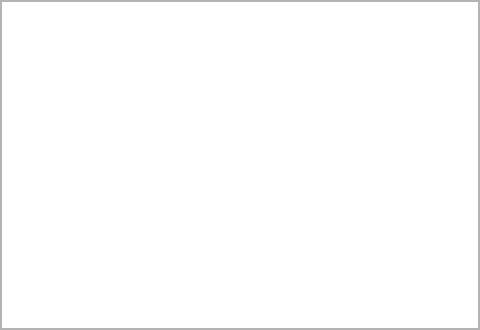 The bead strand is approx. 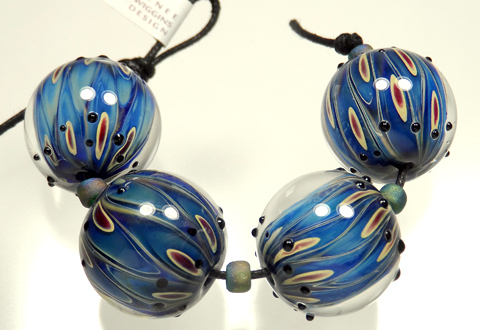 3" including the accent spacer beads. As always, my beads are properly annealed and cleaned.